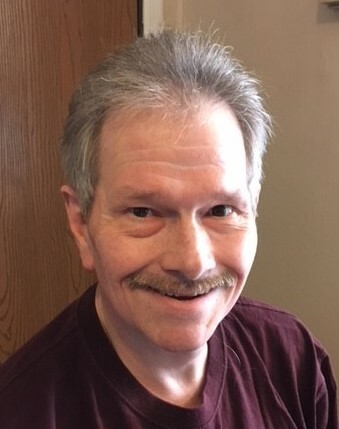 Neil P. Davidson, 56, of Duluth, passed away Thursday, August 16, 2018 at St. Luke’s Hospital surrounded by his loving family. Neil was born in Duluth to Robert and Loretta (Binde) Davidson on June 26, 1962. He went to Central High School and graduated in 1980. He married Debi Lakso September 19, 2009. He is preceded in death by his father Robert, father and mother-in-law Gordy and Vera Reimer, grandparents David and Rena Davidson and Leif and Elina Binde, and several aunts and uncles. Neil is survived by his wife Debi, mother Loretta Davidson, brother Kirk (Lisa) Davidson, step-children: Pam, Sandi, and Andrew (Joshua), 9 step-grandchildren, 2 step-great grandchildren, sister-in-law Diane and many other relatives and friends. Neil’s family would like to thank the St. Luke’s ER staff for their compassionate care over the years. VISITATION: Thursday, August 23rd from 11 AM until the 12 Noon memorial service at Williams-Lobermeier-Boettcher Funeral Home. Burial will be at Calvary Cemetery in Duluth. Arrangements by Williams-Lobermeier-Boettcher Funeral Home, 3208 W. 3rd. Street, Duluth, 218-624-1059.